Anyone who plays guitar, whether they are a beginner or a professional, can tell you that not all sounds can be recreated using a simple guitar. Adding effects to your guitar is a great way to add your own style and sense of personality to your music. You can have a single effect pedal, but that only gives you one option. A good multi-effects pedal will have you playing off the charts in no time. 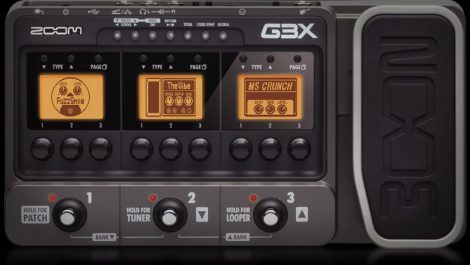 As I was searching for my first multi-effects pedal, I discovered that there are quite a few options available, but the Zoom G3X quickly became the favorite. It has as more than 116 different amp and effects, and a built-in expression pedal to help you maintain the volume you want with ease. After narrowing the competition to about 25 different options based on extensive online research, I went to my local guitar shop and hit up the owner to see which of the pedals they had in stock. Steve was extremely helpful, and the store actually had about 17 of the pedals in stock. He also had a lot of information about each of the pedals that helped me to decide which one was the best for my needs. 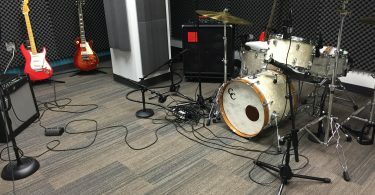 I thoroughly tested each of the pedals; I checked out the effects, the amount of volume I could get from the pedal, and I checked the preset options that were available. I also went to my local Guitar Center and a Sam Ash that is located nearby. In the end, I played about 21 of the initial 25 multi-effect pedals that caught my interest. It took up hours of my time; I did not go through the list of pedals in a day. I did find the perfect pedal for me, and I have created this article to give you my hard researched information. I want to share my research with you, and hopefully, help you find a multi-effects pedal that makes your guitar sound amazing. Before you begin your search for the best multi-effects pedal, you will want to consider whether a single effect pedal or a multi-effect pedal is going to be best for you. Here are some of the pros and cons of a multi-effects pedal to help you decide. A multi-effects pedal is a great way to have access to a wide range of tone options with a single device. These types of pedals can give you a sample of all of the amps and effects that are available, and if you like the effect, you can always decide to get another pedal that is specifically designed for that effect. It is a great option that gives you the pedal options that you have not been able to afford to purchase, and it gives you a backup in case your regular pedal dies on you during a gig. It will most likely come with tuners, loopers, and a headphone jack so that you can plug in and practice anywhere. A multi-effects pedal is also a budget friendly option that allows you to get one pedal for around $100 that does the same thing as a collection of pedals that would cost you well over $1,000. Most multi-effects pedals have an interface that is easy to figure out, but since it can house a lot of different sound effect options, it can be rather complex. There are a lot more buttons, knobs, and settings that you need to adjust on a multi-effects pedal. In addition, the pedal effects may be plentiful, but they may not be as high quality as a single effect pedal. The other concern of mine was, what if the multi-effects pedal breaks? 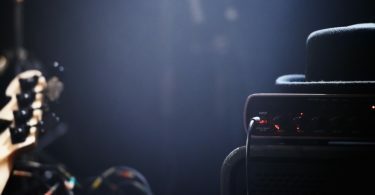 If you are going to a gig, all of your effects will be kaput, unless you have some single effect pedals on hand as well. Nothing could be more tragic than losing your sound effects for a song with heavy vibrato or delay effects. EQ effects boost certain aspects of your sound while limiting other effects to create more of a unique sound profile. You can raise the treble to give you an amazing bell or cymbal effect or you can boost the bass to create an awesome base guitar riff that comes out above the other tones of the song. 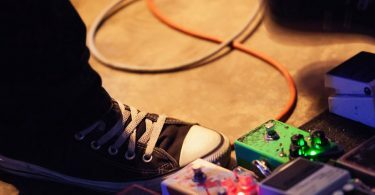 Most multi-effects pedals allow you to control the bass, the mid, and the treble, but some only offer treble and bass, so take a look before jumping into a purchase. Wahs – This effect is highly dependent on EQ modulation. This type of effect makes it so that the treble is more prominent with the effect and as you pull back on the pedal, the treble is muted slightly. Jimi Hendrix is a guitarist who loved to experiment with wahs in his music. 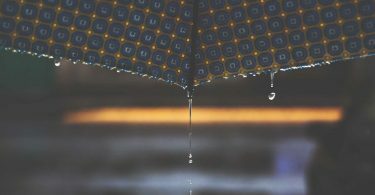 These types of effects create a muddier sound that is heavier and a bit more distorted than your guitar would sound without these effects. The notes that have this effect can easily be extended. Overdrive – Overdrive is a natural distortion that occurs when the amp is plugged in, but a multi-effects pedal can amplify the throaty sound that the guitar creates. Adjusting your volume can also affect the way that your overdrive sounds, so make sure to take that into consideration. Distortion – Distortion can be a smooth sound that blends the notes together or a harsh one that pierces into your existing tones and creates an entirely different level of sound. Fuzz – Fuzz is an extreme distortion that gives your music an underlying amount of contrast. This effect sounds best in intros and guitar solos so that the other band member’s music is not drowned out by the fuzz. These types of sound effects add depth and flavor to your guitar. With these effects, you take two different notes and blend them together to create a unique sound that is often loved by fans. Whammy – This effect allows you to change the pitch of the riff that your guitar is currently playing. You need to rock your foot back and forth to create the tremolo effect that the whammy bar is so famous for creating. Tremolo – This effect may be called a vibrato on some multi-effects pedals, but it is designed that when you hit a note, you can purposely turn the volume up and down to create a unique effect. The Rolling Stones created this effect flawlessly in their song “Gimme Shelter”. This type of effect allows you to play a chord in real time and hold one back to be played into the music in a few seconds. You can typically control the length of the delay. Delay – This is the amount of time between the first chord that you play and the second one that can be heard. This delay effect can also be repeated over and over to create an echo effect that you only need to play once. The delay can be merely a second or it can be a dramatic break in the music that keeps you on the edge of your seat. Reverb – This is an effect that is a bit more subtle than a delay. It can add personality to a clean sound, but be careful not to add too much to your tones. These effect options create a more pleasing sound that a lot of professional musicians love to add to their guitar. Gain – Gain is basically the strength behind your sound. When you are performing a solo, you want to have a lot of gain in your riff to amplify your sound. Volume – This is an effect that allows you to easily control your volume without stopping to fiddle with the volume knob on the guitar. 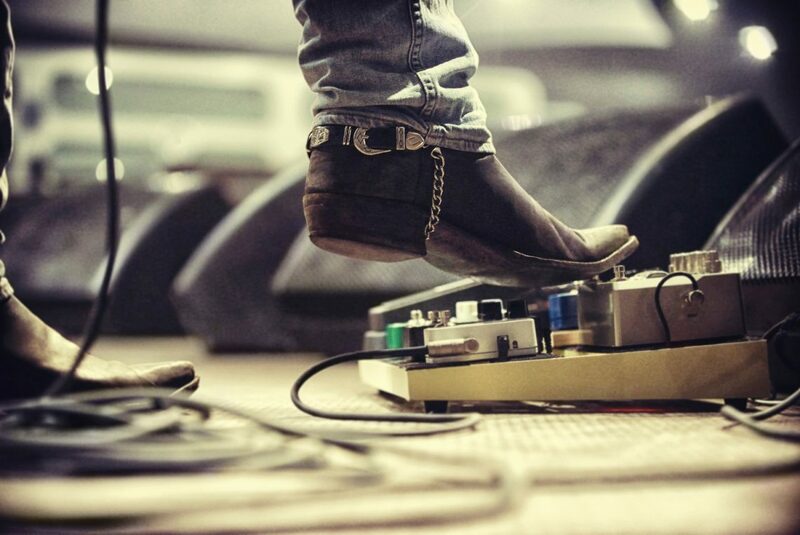 This pedal is often referred to as an expression pedal amongst the guitar community. In addition to the sound effects options that you are selecting from, you need to consider a few more aspects before making a decision. Once you know which effects you want to have on your multi-effect pedal, it is important to consider the amount of effects you want this one pedal to feature. Remember, the more effects you have, the more effects you lose when this pedal dies on you, so before you decide, consider what effects you use the most, and the backup options that are available to you. Your pedal is not going to remain in your basement or your garage at all times. Most likely the reason that you are getting a multi-effects pedal is to have something that is convenient to take on gigs. Carrying one device is much simpler that hauling several pedals, but you still need to make sure that you can easily fit the one that you select into your gig bag. 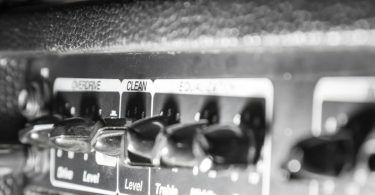 You may want to hook up to an amp, your computer, or even your headphones, so make sure that your new multi-effects pedal has all of the input and output ports that you need in every situation. Remember that some of the multi-effects pedals that are heavy in effect features can be difficult to figure out. Before you settle on a purchase, make sure that the interface is easy to deal with in between your numbers at your gigs. Since this is a multi-effects pedal, you will most likely be using it quite a lot because of all of the sound effect options that will be available to you, so make sure that the product will be able to stand up to the tests of time. 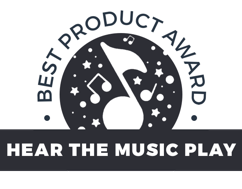 Making a purchase that has a warranty that stands behind the quality of the device is a great way to ensure that the pedal is protected. Don’t forget to look for a multi-effects pedal that has a tuner, a built-in metronome, or any other bells and whistles that you may want; just make sure to stay within your budget. 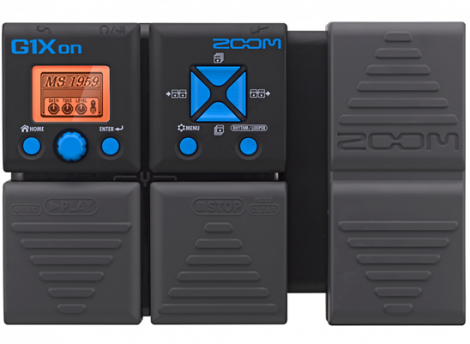 The Zoom G3X is the best multi-effects pedal because it offers a lot of versatility, which is very convenient while you are on stage. It is designed to look like three stomp pedals that are positioned next to each other. It has more than 116 different amp and effects that you can use as well as a built-in expression pedal to help you maintain the volume that you want to be playing at with ease. You can easily set the different LCD screen to a different sound. Six different models can be set up and chained together at any time, so make sure to make use of all six settings. Any time that you need to edit a setting, it can be done with ease in a matter of minutes. There is a built-in expression pedal that gives you control over the volume, the pitch, and the modulation effects that you have active. I love that the G3X gives you more effects than you need, but they are always available if you do need them. You will have access to filters, overdrives, boosters, phasers, fuzzes, tremolo, vibrato, flangers, and much more. 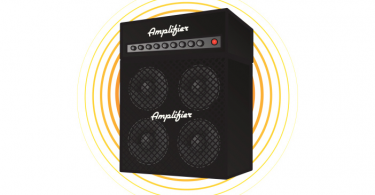 You will be able to create effects for classic, contemporary, rock, jazz, and even punk music. The variations are endless on this multi-effects pedal. Since you need to make sure that your guitar is always in tune, there is a built-in tuner in this multi-effects pedal that can easily be accessed at any time. There is also an option to add a rhythm to the pedal sound. There are 42 musical tones that you can select from, which include the beat of a drum, a cymbal, or even a bass line that is rhythmic. This unit features two output jacks that can be used for headphones and amps as well as a balanced XLR output for mixers and recorders. The unit does come with an A/C adapter, but if you want to run on battery power, the batteries will last for about a period of six hours, which I find is sufficient for most of my gigs. When I first looked at the Boss ME-80, I was a bit overwhelmed with all of the blocks on the pedal. The layout is a bit complex for adjusting between numbers, so I decided against it. I love the amount of effects, but I need to have many options that I can easily adjust, and the scroll menu of this interface was a bit too long for me. The distortion and overdrive of this model are great for songs that do not use a lot of this effect, but for heavily distorted songs, I felt that it was a bit too muddy for my music. The modulation and the delay of this pedal are perfect. You can set the delay to a loop effect or an echo, and both options sound amazing. The reverb and the wah effect is pretty good, though I do not tend to use them much, they do the job that I need them to do. There is a headphone jack and a metronome on this device, but it is a bit large for me to carry in my gig bag. In the end, I decided to go with the option that gave me the most presets, so the Zoom G3X won the battle of the best multi-effects pedal. The main reason that I considered purchasing this multi-effects pedal is that it has a ton of effects you can utilize. It has way more pedals, amps, and effects than I can ever see myself using, but it could be a huge benefit to have all of those options at your fingertips. I love the fact that you can easily customize each effect, chain them together, and adjust them at any point. The interface is great, but not when you first look at it. It has a lot of buttons and options that make it mind boggling even to begin customizing your effects. Luckily, with a bit of time, you can easily adjust the interface settings to accommodate your needs in a matter of minutes. I do not like the interface that is available for making live adjustments, but you may feel differently about it. Insofar as the sound that this pedal produces, it is simply amazing. The only other issue that I had with this multi-effects board is that the pedal is a bit small. It works perfectly for my small foot, but anyone who has a larger shoe size may have issues centering their foot on the pedal. 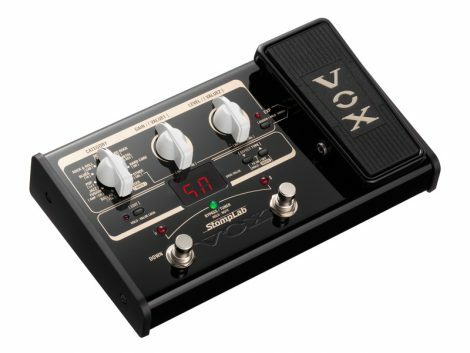 This VOX multi-effects pedal is a great versatile option for anyone who is looking for a great multipurpose pedal for gigs and practice sessions. It has over 100 preset effects options that you can choose from as well as enough space for you to create 20 of your own. The overdrive and distortion effect on this pedal is great, but it does not offer quite as much crunch as a dedicated pedal would give you, so depending on the type of music that you play, this may be fine, but a muddier sound may require a dedicated pedal. The expressions pedal is perfect for my needs, but I did notice that it was a bit on the smaller side once again. The reverb effect is perfect for my needs; it has a great delay that you can extend for quite a long period of time. I did notice that the box at the guitar store said that the power adapter is sold separately, so if you want to run off of electric power, you will need to make that purchase. I would suggest using the adaptor because the representative that helped me at my local music store had an extremely difficult time removing the battery cover to power up the pedal. The Boss GT-100 has so many effect options that it would be practically impossible to purchase them all individually. I love the versatility of this pedal because no matter what sound you are looking for, you can find it on this multi-effects pedal. There are typical sound effect options that you can choose from as well as a number of crazy effects that only an experienced musician will have any inclination on how to use them in their music so that they sound good. I find that the sound on this device is also great. It may not be quite as good a dedicated pedal, but it is not watered down either. This is not a multi-effects pedal that was designed to be used with a bass guitar, but I love the way it makes my bass sound. If you have a bass, check it out; you will be glad that you did. The pedal comes with a software package that is honestly not the best in the world, but it is workable, and it upgrades when changes are made to the software automatically. One caveat: there is no tap tempo on this multi-effects pedal. 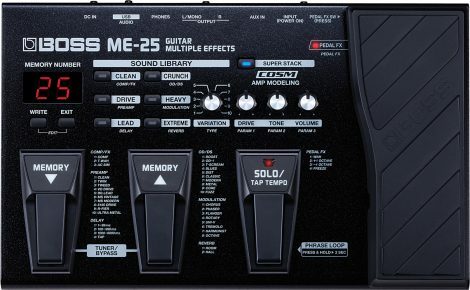 The Boss ME25 is a multi-effects pedal is perfect for gigs because it is the perfect size for most travel bags. If you are planning on performing a solo, the boost and solo buttons give you the perfect boost when you need to ramp up the volume and really stand out above the rest of the band. 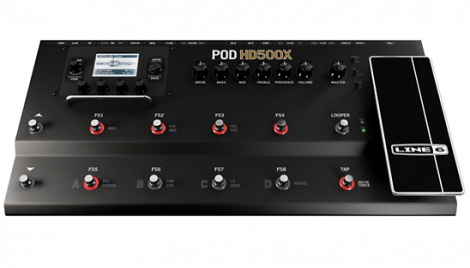 The interface is pretty simple to figure out; in fact, I like that Boss tried to keep the systems relatively similar across the different multi-effects pedals that they have available. The sound is great on this pedal, but when I was testing this one out, I felt that it lacked the warmth that you need to properly play the blues. If you are using the loop effect, you will find that it does not give you much length. The loop can actually only record 38 seconds of sound, so it may be limiting for some. The reverb is great; it produced a muddy sound that is perfect for Jimi Hendrix type music. This amp is ready to go right out of the box; it may seem a bit confusing at first, but the preset sound effect options are perfect for most guitarists. This multi-effects pedal offers a huge selection of effects that you can use to add personality to your music. No matter which type of music you are rocking out to, you will have plenty of options on the DigiTech RP1000. This device also comes with a built-in tuner to help you make sure your guitar is in tune before you play. The effects are perfectly programmable, and if you need to make an adjustment during a gig, it will only take a few seconds. The software that comes with this pedal is a bit of a disappointment; it works well until it glitches out completely and leaves you hanging with no way to reboot the software other than rebooting the entire pedal. The looper on this multi-effects pedal is perfect for my needs; it does not limit you loop like some of the pedals that I looked at. I also like the input and output options on this device. They are located in just the right spot, and there are more than enough of them. The one thing that I do not like about this device is that the wah effect is set directly on the expressions pedal, and I do not need that effect every time I want to simply pump up the volume. The Zoom G1Xon is a great multi-effects pedal for beginners. It is loaded with functionality that any guitarist would love, and it will save you a lot of money in the long run. The case is durable and able to withstand a lot of abuse. There are about 100 different effect options that you can choose to use on this device, and each of them gives you a unique sound that you can tweak to your needs. I love that the reverb option on the pedal does not limit you to a single reverb setting; in fact, there are about ten levels of reverb that you can select from to get the exact sound that you want. The looper only gives you a 30-second playback, but for the price, I would say it is still acceptable. The interface and preset options on this unit are extremely customizable, but upon first look, it can be a bit intimidating to find the settings that you are looking for. 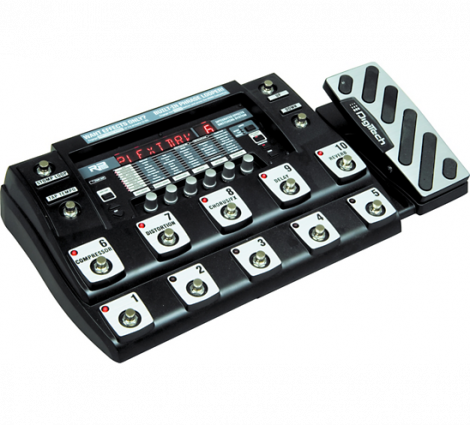 The unit does come with a built-in tuner, but it does not come with a power supply so before you check out with this multi-effects pedal, purchase one so that you are not limited to battery power. 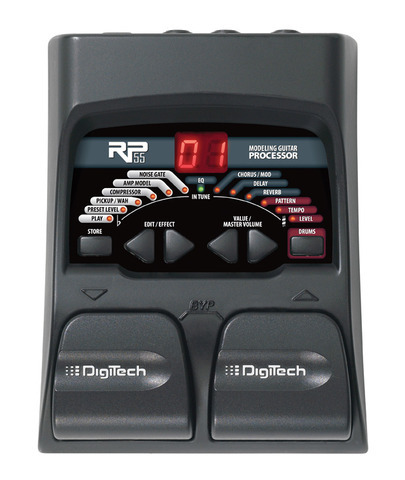 If you have never used a multi-effects pedal, then the DigiTech RP55 is a great option for you. 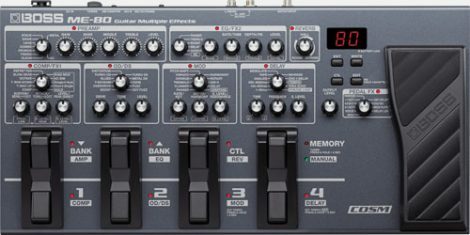 It has a good selection of effects that you can add to your music, and it is a relatively low-cost unit that you can purchase to test it out without making a dent in your bank account. There are a total of 80 effects that you can use on this pedal, which is not bad considering it costs under $50. Honestly, the biggest issue that I had with this multi-effects pedal is the fact that there is not a power switch. I do not like unplugging my pedal every time that I am done playing. It is a fine design for when you are at a gig where you will be unplugging it anyway, but at home, I prefer to have the option to turn the power off. There is a drum machine option on this multi-effects pedal as well that is designed to help you keep tempo. You can easily adjust the tempo to fit your needs; the interface is easy to use, which means that it can be adjusted quickly. As a guitarist, having a way to easily vary the sound that you create with a multi-effects pedal is a great value. If you do not have any pedals to create unique sounds, a multi-effects pedal is going to be the best option to help you get started. I chose the Zoom G3X, but all of the multi-effects pedals on this list are great options, you simply need to find the one that is best for your guitar needs.